Daniel J. Murphy - dmurphy@shawmedia.com Cary-Grove's Michael Sutherland stands near the dugout ing the seventh inning Thursday April 26, 2012 at Huntley High School. Huntley defeated Jacobs in a shootout. Daniel J. Murphy - dmurphy@shawmedia.com Members of the Jacobs baseball team water down the field before the start of their game against Cary-Grove Thursday April 26, 2012 at Huntley High School. Huntley defeated Jacobs in a shootout. Daniel J. Murphy - dmurphy@shawmedia.com Jacobs third baseman Zac Camacho tags out Cary-Grove's Dylan McDonough in the fourth inning Friday April 27, 2012 at Jacobs High School. Cary-Grove defeated Jacobs 3-1. 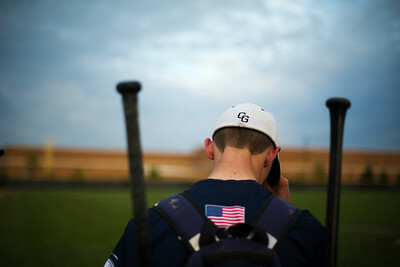 Daniel J. Murphy - dmurphy@shawmedia.com Cary-Grove infielder Matt Byrne leaves the field after a 3-1 win over Jacobs Friday April 27, 2012 at Jacobs High School. 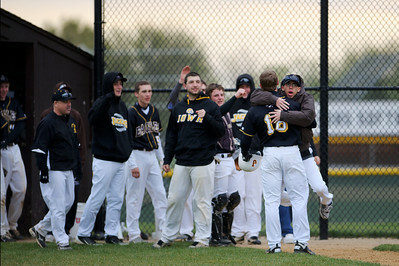 Daniel J. Murphy - dmurphy@shawmedia.com The Jacobs' dugout clears to embrace Connor Conzelman after scoring an inside-the-park home run Friday April 27, 2012 at Jacobs High School. Cary-Grove defeated Jacobs 3-1. 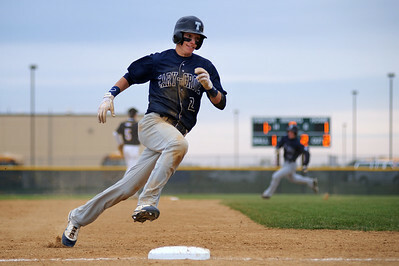 Daniel J. Murphy - dmurphy@shawmedia.com Cary-Grove's Matt Byrne rounds second base in the fifth inning Friday April 27, 2012 at Jacobs High School. Cary-Grove defeated Jacobs 3-1. Daniel J. Murphy - dmurphy@shawmedia.com Jacobs left fielder Connor Conzelman (right) helps stretch out teammate Kenny Finn before their game against Cary-Grove Friday April 27, 2012 at Jacobs High School. Cary-Grove defeated Jacobs 3-1. Daniel J. Murphy - dmurphy@shawmedia.com Cary-Grove pitcher Ryan Kaveney strikes out Jacobs' Ryan Ulmer in the fourth inning Friday April 27, 2012 at Jacobs High School. Cary-Grove defeated Jacobs 3-1. 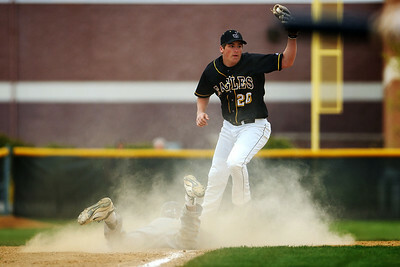 Daniel J. Murphy - dmurphy@shawmedia.com Cary-Grove's Matt Byrne rounds third base in the fifth inning Friday April 27, 2012 at Jacobs High School. Cary-Grove defeated Jacobs 3-1. 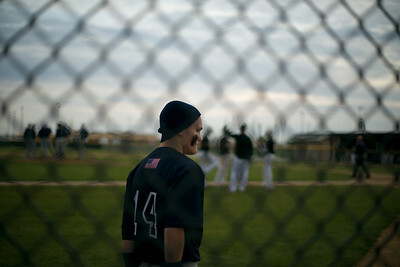 Daniel J. Murphy - dmurphy@shawmedia.com The Cary-Grove baseball team runs a drill after their 3-1 win over Jacobs Thursday April 26, 2012 at Huntley High School. Jacobs third baseman Zac Camacho tags out Cary-Grove's Dylan McDonough in the fourth inning Friday April 27, 2012 at Jacobs High School. 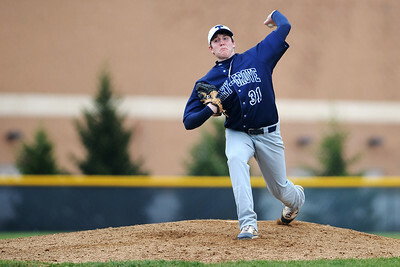 Cary-Grove defeated Jacobs 3-1.